For EU and non European Union citizens help with the registration of all types residence permits (VNG) in Bulgaria. If you want to live in Bulgaria and need advise with the registration of residence card at the migration office, contact us for information about the documents requested and the procedure. Registration/Opening of a commercial representation to your company in Bulgaria. In case you want to open commercial representation to your company at the trade and commercial chamber in order to receive Visa D, residence card or just to promote your business in Bulgaria, do not hesitate to contact us about the documents requested the procedure and the costs involved. We recommend to all our clients before signing any contract, especially a preliminary contract for purchase of a property or deed for conveyance of a property, to check carefully the title deed of the seller. The inquiry aims to find out whether the seller is the legitimate and only owner of the property, whether the property is free of encumbrances or liens, whether the property is subject to litigation or other court procedures, whether the building where the property is located, is built up in compliance with all legal requirements and is granted with habitation certificate, whether the company-seller is duly set up, is not in liquidation or bankruptcy procedure and who is legally grounded to represent it. If no such inquiry is proceeded the client risks to enter into a contract obliging him to pay for a property which is burdened/mortgaged, to pay to a seller having no rights to sell the property, to pay for a property into a building built up without necessary legal papers, or to be evicted from the property by a third person. The legal papers, especially the deed for conveyance of a property or the preliminary contract for purchase of a property, that clients are required to sign, are the legal basis on which the clients acquire property, pay purchase price, get guarantee for the quality of the construction works, get protection against breach of contract and so on. That’s why the drafting of quality legal papers meeting all legal requirements and protecting the interests of the clients are highly recommended. The well drafted contract or deed is also a guarantee for the legality of the purchase/sale, assures the client against risks of breach of contract and is able to save clients money for payment of excessive closing taxes and fees. Sometimes the clients are not able to sign in person the papers for sale/purchase of a property or any other legal paper. 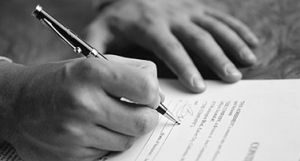 If it’s your case we offer to represent you before the notary/ the seller/ the buyer and sign the papers in your name and on your behalf. The sellers of properties are often not able to gather all papers required by law for the sale/conveyance/transfer the property to the buyer, most of the time due to the fact that they live abroad, or have no time to spare or sometimes just because they are not acquitted with the relevant legal procedures. If it’s your case we offer you to act on your behalf and to represent you before the competent instructions in order to supply you will all requested papers for a transfer/conveyance/sale of your property , sketch of the property, tax evaluation certificate and so on. Sometimes the transfer of the property (sale/purchase) may be operated under different forms or under different terms each of them leading to different tax effects. We offer to help you chose the most appropriate for you case. Due to the fact that the only official language in Bulgaria is Bulgarian, all legal papers (deed, construction papers and so on) are written in Bulgarian and we offer to translate them into English. Every owner of property in Bulgaria nevertheless on what ground he acquires the ownership over the property , purchase, donation, inheritance, divorce agreement and so on, is obliged to apply for tax registration of the property by declaring the acquisition into the local tax office. On the basis of the information into the filled in declaration the tax office calculates the annual council tax and garbage collection fees. In case the property is not declared, the owner is in breach of Council taxes and fees Act and risks: To pay a penalty for the non-declaration the property. Not to be able to receive the tax evaluation certificate mandatory required for sale of the property. The tax declaration of the acquisition of a property by a foreigner is always preceded with a Bulstat registration on the ground of which the owner receives an ID number (Bulstat number) for tax purposes. Once the Bulstat registration is done and the Bulstat number issued, the owner may use the Bulstat number to register more than one property that he acquires simultaneously or consecutively. Foreigners purchasing apartments through a company set up in Bulgaria/or abroad pay several times higher council taxes and garbage collection fees than foreigners owners of apartments with the same size and location. In case you are in the same situation that’s because in most of the cases, registration of your company property into the tax office has been done incorrectly – the apartment may have been registered as property for commercial purposes (under article 17 of the Council taxes and fees Act). If it’s the case we advise our clients to re-declare the apartment under art 14 of the CTFA, i.e. property for non-commercial purposes. As a result the council taxes and garbage collection fees are several times reduced. Each owner of a property in Bulgaria is obliged to pay annual council tax and annual garbage collection fees for individuals the garbage collection fees are around 50% of council tax, i.e. 1/3 of the payments to the Municipality. In case the owner is not using the property, he can apply for waiver of garbage collection fees – we recommend to all owners of unfurnished apartments to do so, the same for the owners of furnished apartment which they don’t use. As a result they don’t pay for services (garbage collection) they don’t use or need. For companies the garbage collection fees (for apartment for commercial purposes) are 7-8 times the amount of the council tax. i.e. the declaration for waiver guarantees them an enormous reduction of the council payments. For every property in Bulgaria the local electric and water companies open accounts for electric and water, so every owners can pays his utilities bills. However it’s a common practice after the sale of the property (directly for the developer or resold), the new owner not to be informed that he has to transfer/open the water and electric accounts in his name. If the accounts are not transferred/opened in the name of the new owner he risks: To receive no information for the bills. The supply of water and electric to the apartment to be cut off , it happens in case of nonpayment of the bills most of the time due to the fact that the accounts are still in the name of the developer, there is no maintenance company for the building (or the owner has no contract with the maintenance company) and the developer doesn’t pay the bills. To have no proof of payment of utilities bill in case of renting out or selling the property. We highly recommend to our clients to sign a will for their property in Bulgaria. This way they can manage the specificities of the Bulgarian inheritance law and decide on the inheritance of their assets. We offer you also to help you find out the provisions of the Bulgarian law applicable to your specific inheritance issue and help you resolve it. Due to the fact that many of the owners of property (especially apartments) in Bulgaria live abroad and need to hire someone to maintain/manage/rent their property, we offer to help you draft a contract for maintenance/management/rent of you apartment which will clearly state the obligations of the maintenance/management/rental company and guarantees the quality of the services provided and the timely payment of the rental. Often the clients are contacted by a maintenance/management/rental companies and ask to sign maintenance/management/rental contract. We offer you to check the legal aspects of the contract in order to guarantee your interests are well protected. We will also explain to you the tax aspects of the rental income and your tax obligations. Many of the owners of properties in Bulgaria are owners of apartments in buildings where other people also own apartments or offices. In this case only the owners assembly can take decisions on many issues of common interests , who and under what terms will maintain the common areas in the building, for what facilities the owners will pay and how much, the repairs of the building and so on. We will help you to organize the owners assembly and on your request we will be present to the assembly in order to ensure the legality of the procedure. We will help you to find out what the CA provides in case repairs works have to be started in the building, in case some of the owners refuse to pay their maintenance fees, or you need to replace one maintenance company with another, or open an account for collecting the maintenance fees and paying the common bills, or you want to register the building in the Municipality. We will help you to set up a company in Bulgaria in case you want the start a business in Bulgaria or buy land (note: the Bulgarian law forbids the sale of a land to foreigners without the prior setting up of a company in which the land can be purchased under) or apartment (purchase through a company is sometimes recommendable in order to save VAT). We will assist you to choose the most appropriate type of company and management body and put you in touch with a qualified accountant. In case you have a company registered before 2008 you have to re-register it (registered the company under the new Companies registration Act 2008) and we will help you with this re-registration. We will assist you also to publish your annual financial reports, to amend the address of your company, to replace a manager, to publish new Articles of Associates, vote a new shareholder and so on. If your issue is not listed above please contact our Bansko lawyer team with more information and description of the problem, and we will find a law solution for you. Legal advices on the requirements of the Condominium Act and registration of buildings.